We will be providing SDKs, our data-over-audio hardware and engineering support on the day to make sure that London’s best developers interested in audio and DSP have an interesting and productive event. We are especially happy to be able to provide Arduino-compatible Chirp Explorer Board units which make physical prototyping easy for audio and data-over-sound purposes. 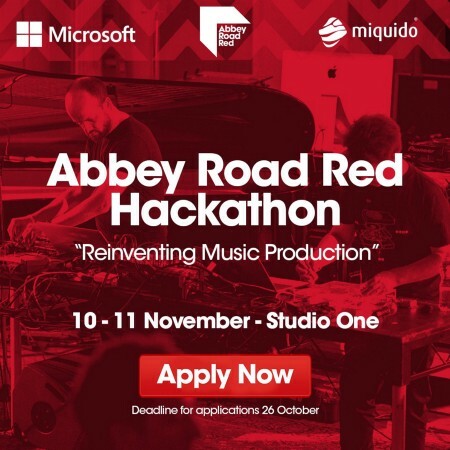 The Hackathon will explore music information retrieval, machine learning, IOT or embedded systems and experiment with new frameworks and hottest AI and audio API’s, delivered by the key players in this field. Whether you are an audio developer, MatLab or MX MSP or C++ hero or Python guru, design thinker or tech minded producer we want to hear from you.We can’t wait to see what folk build with our SDKs and hardware — this is truly an opportunity to teach the machines to sing!